Melba Quartet, featuring MCO’s William Hennessy, performs Schubert’s iconic Death and the Maiden. Perhaps Schubert’s most revered and best-known quartet, Death and the Maiden was written by the composer during a period of serious illness that preceded his untimely death at 31. Dark, passionate and virtuosic, this thrilling quartet demands enormous musical resources from its musicians. 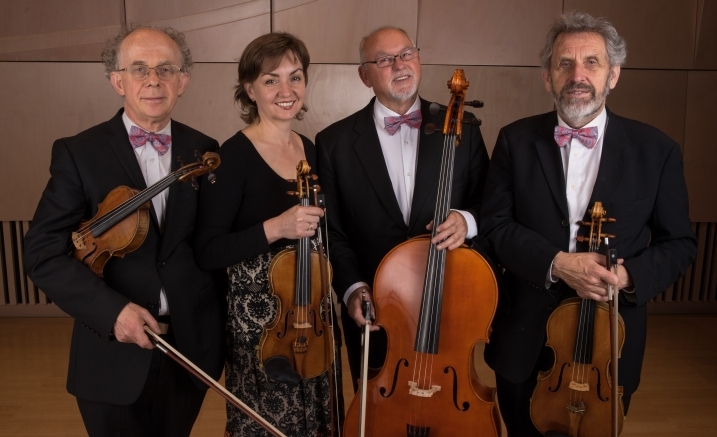 Melba Quartet is made up of the musicians who worked together as the Australian String Quartet until 1996, establishing it as an important national and international ensemble. Witness icons of chamber music in the perfect acoustic of the Salon, Melbourne Recital Centre. With the atmosphere of an exclusive private performance, just 65 guests will experience seminal works of chamber music performed by Australia’s finest musicians. Understand the background to the music with a pre-concert introduction delivered by the orchestra’s Executive Director. Unforgettable close encounters with chamber music. To book this concert as part of the MCO 2017 subscription series, click here.